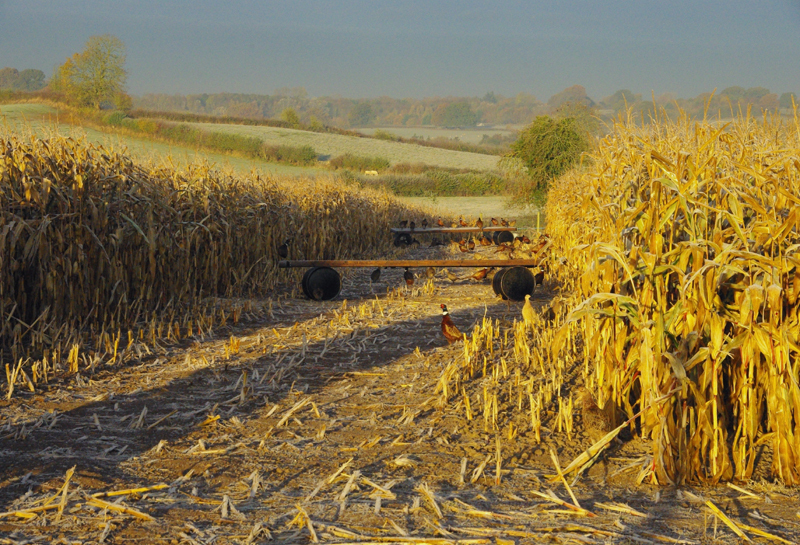 We carefully select our breeding birds from our own pure bred closed flocks and over-winter them in large flight pens containing maize and cover crops. 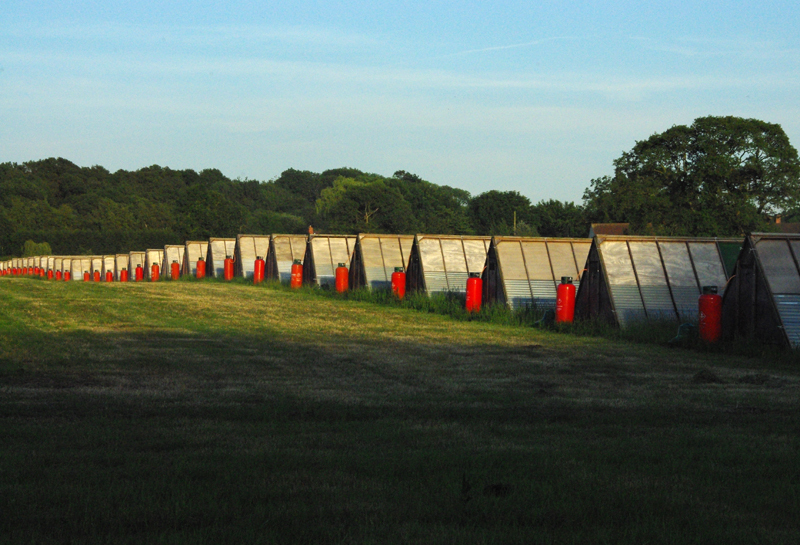 The birds thrive in this natural environment and are in top condition when moved to the laying pens each spring. All our breeders are vaccinated against Newcastle disease, TRT, IB, EDS and Mycroplasma and this provides some protection to the chicks. 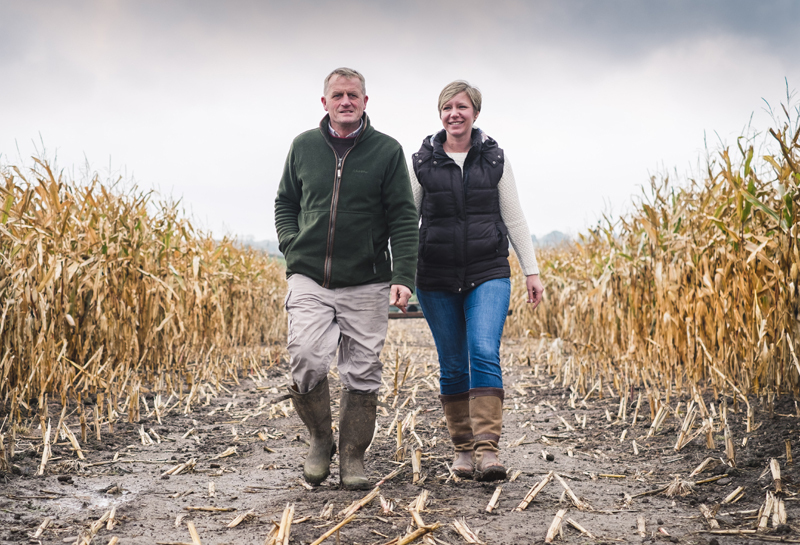 Our policy of always retaining enough breeding stock to produce sufficient eggs to fulfil the requirements of our own hatchery ensures we remain self sufficient in hatching eggs and do not have to rely on imported stock. 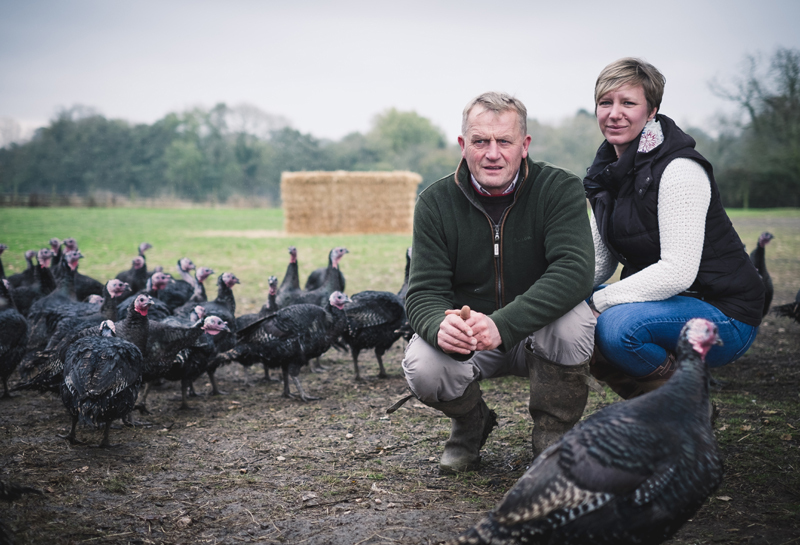 If ever there was a problem with importing from Europe we would be unique in having sufficient home produced eggs to fulfil all our orders for both chicks and poults. 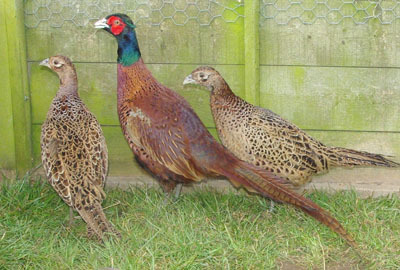 We are able to supply eggs, chicks and poults from the following breeds. This large, powerful woodland bird has stood the test of time, having been in Britain since the early 1800's. 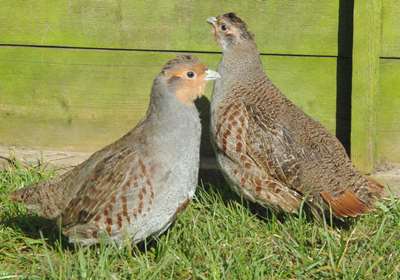 Blacknecks are renowned as 'stayers' and anchor well to their home wood, tolerating more shooting pressure and disturbance than other breeds. 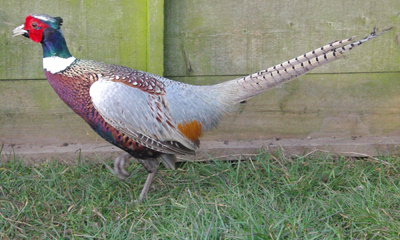 Originating in Poland where the strain is known as "Bazanty" they are now well proven in the UK as the guns' favourite pheasant. Medium sized, strong and hardy they stay at home well when released and add spark on shoot days with their willingness to flush and their flying ability. 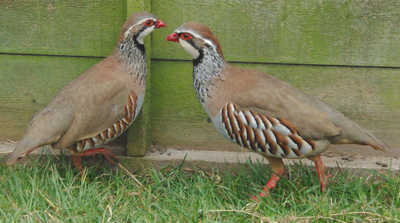 A small flighty and very alert bird with a peculiar upright posture which is more suited to low grounds shoots with poor topography. Flies well from cover crops on partridge beats but will not stand too much shooting pressure. 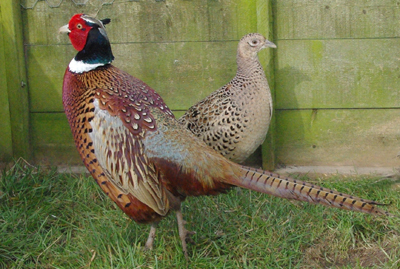 When crossed with Polish pheasants a larger and more manageable bird is produced which retains all the attributes of the pure breeds plus hybrid vigour. 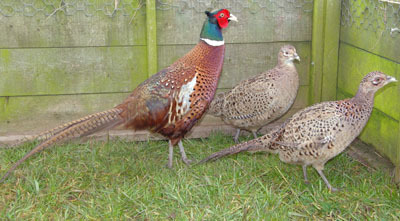 This first cross bird has recently become very popular and it appears to suit all types of shoot. Bred by ourselves in our pair units from a strain originating in Southern Europe. This strain is well proven as we receive many favourable comments from customers who are delighted with their returns but also praise their strong flying ability. Produced in pair units from our own traditional English strain. Now produced from our small breeder flock and grown on with access to water.